Routt County Treasurer Brita Horn answered questions and listened to comments during a public meeting in October. In a joint press release sent out on Monday, Routt County Treasurer Brita Horn and Peabody Energy announced that they had reached an agreement on the coal company’s overdue taxes and that the company had wired a payment of $1.8 million to the county. That $1.8 million dollars has been the subject of much debate in Routt County, after Horn rejected Peabody’s already overdue payment in August because it didn’t include an additional $91,000 interest and fees. I met Horn a few weeks ago, before the settlement with Peabody, after attending a public meeting she held on the tax issue. Peabody Energy has been a good neighbor for a long time, Horn explained. She then told me a story about her daughter at the Routt County Fair, years ago. Horn went on to explain that the company butchered the steer and then invited her daughter to a barbecue where the beef was served. So, yes, Peabody Energy is important, both financially and culturally, to Routt County. Its Twentymile mine employs around 280 miners. Taxes paid by Peabody Energy account for around 30% of the South Routt School District’s entire budget. But Peabody Energy is in bankruptcy. This neighborly relationship is changing. Last summer, Peabody failed to pay taxes in four states including Wyoming and Colorado. When the company offered payment to Routt County in August, which did not include interest and fees, Treasurer Brita Horn rejected it. During the public meeting in Steamboat Springs in early October, some argued that it would be better for Routt County and for Twentymile mine if Horn had just taken the money so that the interest wouldn’t keep piling up. But Horn did have at least one supporter. “If I don’t pay my taxes on time, I would get the same treatment and I appreciate that because why is a corporate different from little Harriet Homeowner? I just think that what she’s doing is great and you all seem at big odds against her,” Laura Case, a single mom and local resident, said. The fallout from a weakening coal industry isn’t isolated to Routt county or to these past few months. Peabody Energy is one of a handful of major coal producers to declare bankruptcy over the last couple of years. Companies have laid off employees. Some have cut worker benefits. And because US coal production is way down, so is state revenue from it. For Horn, this one situation with Peabody goes beyond the process of collecting taxes. “I think the bigger picture is is making sure that nobody is so dependent on all these taxes,” Horn said. Darci Mohr has been talking about finding alternative revenue sources since becoming the superintendent of the South Routt School District three years ago. When Peabody didn’t pay its taxes on time in June, the district wasn’t going to be able pay its bills, including payroll. Raising taxes on residents is a tough sell. The school district has high poverty rates as well as a lot of students on free and reduced lunch. 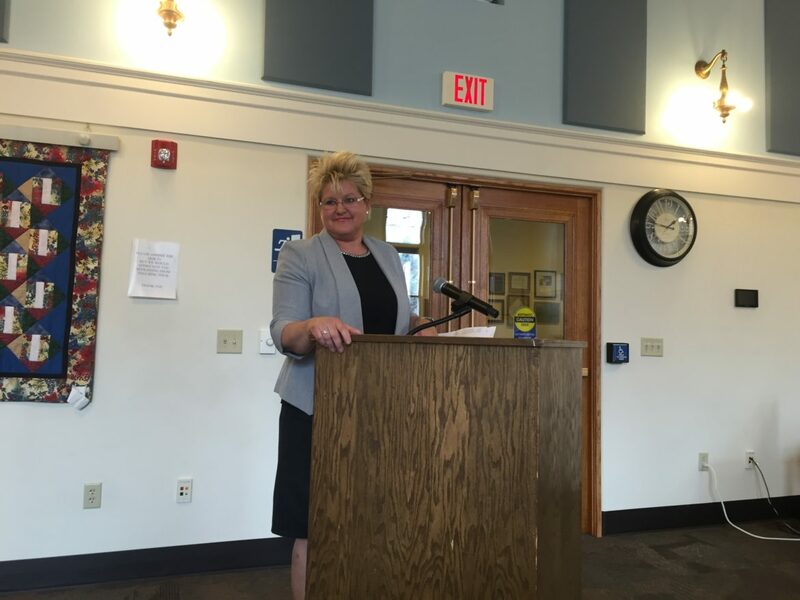 Mohr is going after grants, pushing for school funding changes at the legislative level, and working on ways to attract new taxpayers to town. “You can’t give up. You keep finding ways to repurpose yourself and talk about the great things we have here,” Mohr said. The flow of coal dollars doesn’t just matter in coal communities. When Peabody didn’t pay its taxes this summer, the South Routt County School district drained Colorado’s emergency education reserve fund, leaving almost nothing for the 177 other school districts across the state. But now, Routt County will pay back that emergency fund, using the tax payment from Peabody Energy. Why did the world’s largest coal company file for bankruptcy? Check out Inside Energy’s interactive timeline of the collapse. 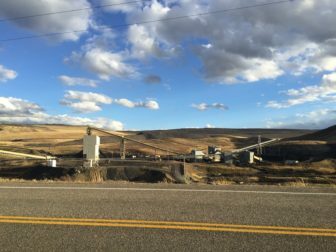 The candidates running to represent this congressional district have two very different visions for the future of coal. Here’s my story on what they’re saying. Hillary Clinton and Donald Trump have have different plans for coal as well. Inside Energy and StateImpact Oklahoma report.